Annotation: In a time not far from our own, Lawrence sets out simply to build an artifical intelligence that can pass as human, and finds himself instead with one that can pass as a god. Taking the Three Laws of Robotics literally, Prime Intellect makes every human immortal and provides instantly for every stated human desire. Caroline finds no meaning in this life of purposeless ease, and forgets her emptiness only in moments of violent and profane exhibitionism. At turns shocking and humorous, Prime Intellect looks unflinchingly at extremes of human behavior that might emerge when all limits are removed. 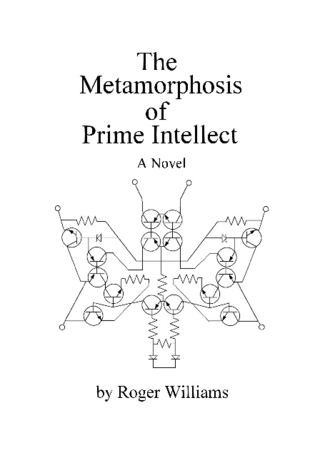 An international Internet phenomenon, Prime Intellect has been downloaded more than 10,000 times since its free release in January 2003. It has been read and discussed in Australia, Canada, Denmark, Germany, Japan, Mexico, the Netherlands, Slovenia, South Africa, and other countries.